is 42, she is single. Christian Helper from Mizoram,India. 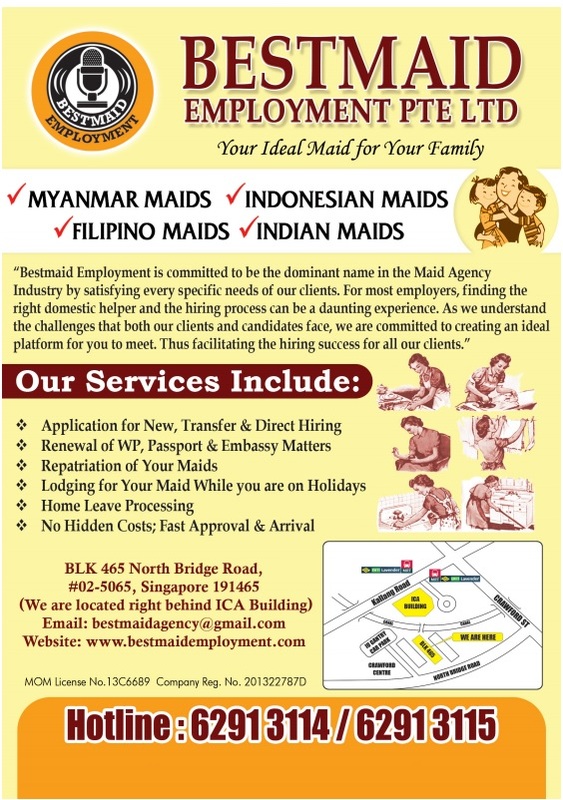 She is new to Singapore but used to work as Domestic Helper back in her hometown. She is good in Child minding and she is currently looking after her 75yr-old Uncle who is semi mobile beside working as a part time helper . She does all around general housework include cooking, cleaning , washing and some Gardening. She can converse well in English and speak fairly in Hindi. She is suitable for any type of household. She can arrive within 2 weeks from the date of approval from the MOM. We do expedite the arrival upon request.